The September Made It – The first batch of entries is here! Helloooooo! 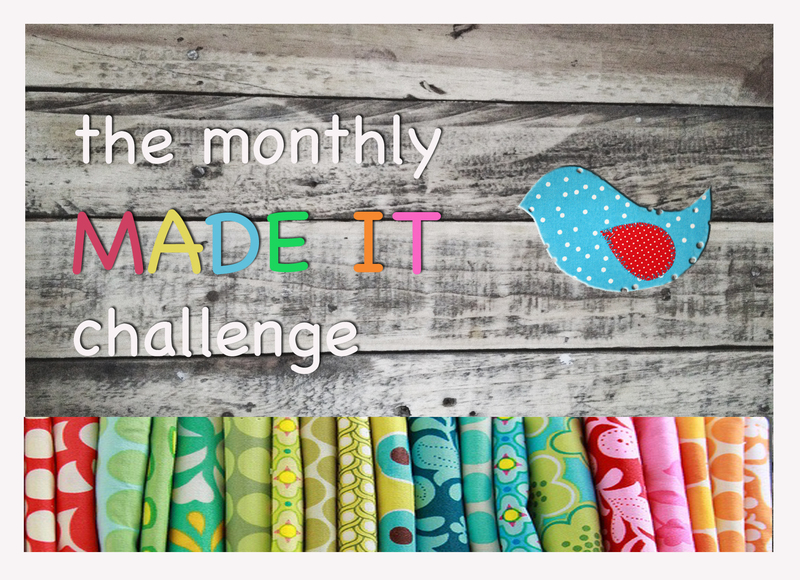 The first bunch of entries into the Made It challenge are in (and the following are only the half of ’em!). I have a feeling that this collection, like all before it, is going to be crammed full of fun and exciting projects that will threaten our to-do lists to throw their hands up and run for the hills! What do you do if your friend asks you to make a rabbit for her new granddaughter? Why you rush into your (twenty-something) child’s room, grab her much-loved rabbit and pull her apart for her blueprint. That’s what. Luckily, Rabbit by Jill of Nice Piece Of Work turned out to be an excellent and very sophisticated clone – well worth the trauma! Hopefully Alex’s rabbit is perfectly back to normal Mom, hmmmm??? Colours of Summer Blanket by Alynnis of Alynnis Crochet – Colours of summer describes this blanket perfectly! I love how each row is different. If you’ve been following the Made It challenge, you’ll know that there have been some seriously amazing blankets entered so far and a few have been GEMS from Alyniss herself. This one is a standout and as Alynnis said “an absolute joy to make…”. And speaking of amazing blankets, feast your eyes on this Sand and Sea Ripple Blanket by Jane of Rainbow Junkie. Once again, Jane has contributed a couple of sensational blankets into the challenge so far, and that’s no small deal considering how much time, effort and passion goes into each one!!! The colours are magical together and apart from the obvious wavy nature of the stitches, they capture the essence of the seaside beautifully. How utterly ADORABLE is this Baby Set by Kaiserin of Empress Fibres! I hope Kaiserin won’t mind me saying this but it’s so wonderful to see a “young” (cause we are ALL so young too, right?) crafter who is so obviously passionate about her work and who turns out such beautiful items. I love this delicate baby dress with matching pants and sandals. Eeeeek there is just too much cuteness in one pic!!! Wowee, we are very super spoiled this month with all these stunning blankets. I’m loving the colours of this soft and bouncy cotton Stripey Baby Blanket by Lianne, one of our Facebook page members. I’ll say it again – I hope you all realise the time, effort, passion, late nights, uncooked dinners and abandoned husbands that actually go into the making of a blanket like this. Can’t wait to see more Lianne! You are right there are some amazing entries already. I love both other blankets for different reasons. Me too, there’re more to come too! What a beautiful collection of hard work and beautiful pieces. I am especially in awe at the juice bag. Someone out theres been working hard! !